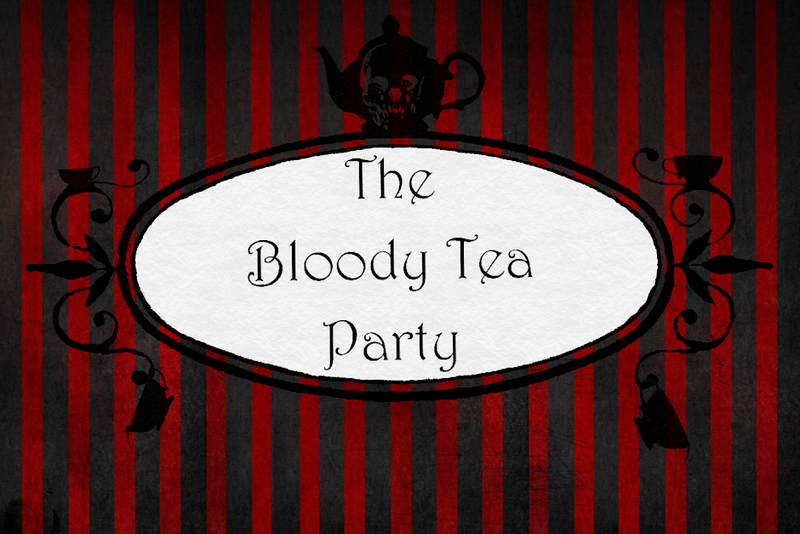 The Bloody Tea Party: Sewing (With) Everything I've Got! Sewing (With) Everything I've Got! So I had run away from blogging for a bit. Not for any particular reason, really, my boyfriend likes to come home from work and take over the computer with a vengeance really...not a joke, gamer boyfriends tend to take up whatever console has the newest toy on it. Okay, so I'm done complaining about the ipad's love for messing up my posts! With waist ties. I did the underside with the same fabric as the ruffle. What would be a new sewing crafting for you? What's your favorite project you've ever made? And this little bonnet. There is no pattern...I did my first bonnet with a pattern, why I didn't just use it again is honestly beyond me. Apparently I don't like doing the easy thing. I suppose I wanted a different style than what I had. Grab a cup and chill out in a bonnet under your parasol, what better way to spend a day? Ah ha I have a gamer boyfriend so I know how you feel. I need the desktop to upload the pictures off my DSLR and as soon as he gets home I can kiss the computer goodbye. I also want to start my sewing projects up again after the semester is over. 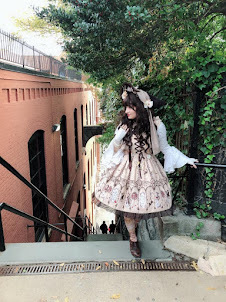 The only things I have completed are a few skirts and an unlined Jsk that's almost done. My fabric stash is overflowing! No mote buying fabric until then. Great job on your sewing, I think I'll try making a blouse too. It's true, I also have to kiss the computer goodbye, lol. I have a few videos from the Haru Matsuri I want to post soon, too. I also started a bloomer project...you can't have too many bloomers, I think. Please, let me know when you post pictures, I'd love to take a peek! Also, have you done anymore of your comics? They're really cute! Also, fabric stashes are wonderful aren't they? I have a few pieces in my stash that I bought in Japan, I can't wait to start work on them. The Day The Dress Came In!